•	Every single purchase made on The Fragrance Shop website ships with free gifts. Each of these gifts will be a surprise, but all of them will be valued at between £10 and £25 total. Free samples are also included with every purchase without any order value minimum restrictions in place. •	Orders shipping to the UK addresses via standard delivery services will ship free of charge as long as the order minimum is £40. Express, overnight, and international shipping options are available as well. •	Check out the OFFERS section of The Fragrance Shop to save up to 50% or more off of selected products and merchandise. These deals are regularly replaced and refreshed on a regular basis. 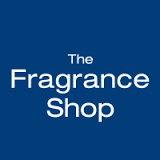 The Fragrance Shop was founded in 1995 and is based in the UK. This company offers an extensive selection of scents, fragrances, personal care products, makeup, cosmetics, shower and bath supplies, shaving and face care, and many other products. The Fragrance Shop takes its items from numerous trusted brands including Calvin Klein, Davidoff, Chanel, Dior, DKNY, Gucci, Issey Miyake, Hugo Boss, Marc Jacobs, and numerous others. Interested individuals can make purchases at their many physical retail outlets or place orders for delivery through the company's website where they offer a complete product line up and numerous payment options to suit different preferences. For most up to date offers check out The Fragrance Shop on Facebook and Twitter or contact The Fragrance Shop Support for any questions.